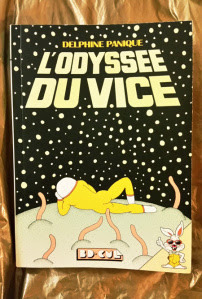 * Kawai Shen reviews L'ODYSSEE DU VICE by Delphine Panique, a very NSFW comic that "was a 100% pleasure to read." * John Seven on Dominique Osuch and Sandrine Martin's NIKI DE SAINT PHALLE: THE GARDEN OF SECRETS which "reveals De Saint Phalle and her work together as inseparable from each other, as well as the life they both inhabited, and makes an important mark in our art history knowledge while doing so." * Robin Enrico reviews OUR MOTHER by Luke Howard, calling it "a masterpiece on all levels." * Rachel Cooke on THE NEW WORLD by Chris Reynolds, "a collection that isn't only beautiful to look at and to hold; turning its pages, it strikes you that though these ineffably strange strips were written in another time, they work better in ours." * Hillary Brown reviews Gipi's LAND OF THE SONS and has a lot of positive things to say about it. So much so, that it's now on my "to read" pile. * Mel Schuit looks at THE IDEAL COPY by Ben Sears. * Andy Oliver reviews NORTHS by Alsion McCreesh, writing "there's a delightful contradiction at the core of this book -- that something so profound can be expressed in the trappings of something so ephemeral." * Brian Salvatore on ALL THE ANSWERS by Michael Kupperman. * Kevin Bramer reviews GOITER #1 by Josh Pettinger, "a quietly haunting mini..."
* Rob Clough on THE COMPLETE BADLY-DRAWN COMICS by Martha Keavney, writing "Keavney's interest in (and self-mockery for) self-reflexive humor that often self-consciously explains the joke to the reader (creating even more tension) is a large part of her appeal." * Ally Russell looks at Nick Drnaso's SABRINA, writing "Not only does Sabrina see Drnaso tackle the emotional complexity of a family, a wider community, and later an entire nation struggling to navigate the aftermath of a highly publicised disappearance. He also manages to root his story int he unique anxieties of today, communicating a paranoid, desperate climate via visual storytelling and steady pacing." * Alex Hoffman reviews SKIN TO SKIN by Jia Sung, "a beautiful and compelling work from a creator [he'd] love to see more from." * Rob McMonigal on Charles Forsman's AUTOMA. 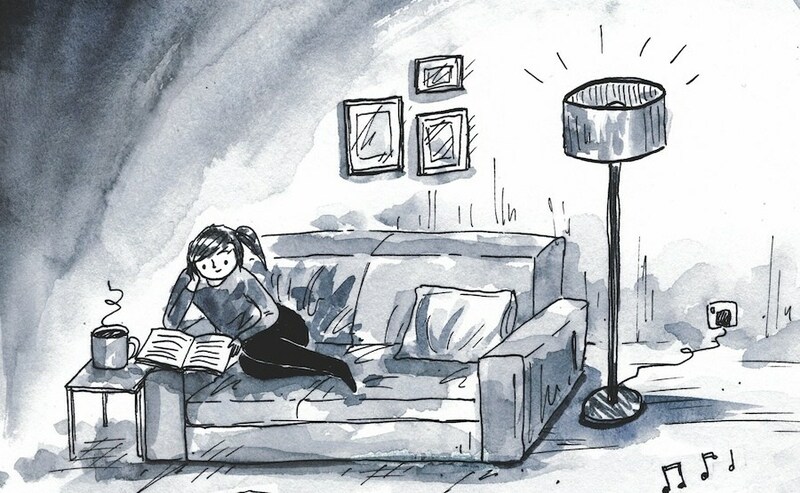 * Ryan C.'s WEEKLY READING ROUND-UP features mini-comics by Brian Canini and PAt Aulisio. * Alenka Figa has a round-up sort of review thing about some of the artists they found at this year's CHICAGO ZINE FEST. * Jordan Stillman on M. Dean's BABYFAT, "a story about the struggle between wanting to grow up and what growing up actually entails." * Steve Morris talks to DEBBIE TUNG "about her work, interests, and goals within comics through the next few years." * Nick Hanover's editorial, ON BRANDON GRAHAM, WEAPONIZED LOYALTY AND RECOGNIZING ABUSE TACTICS is probably this week's MUST READ piece. So go read it. * Wesley Yan has a piece up on Tablet called THE SHOCKING TRUTH ABOUT JORDAN PETERSON which I highly recommend that you read as I would love to hear what you think about it. * And finally, Christopher Jug George has a new piece of writing up on his site called THE STAND-INS.